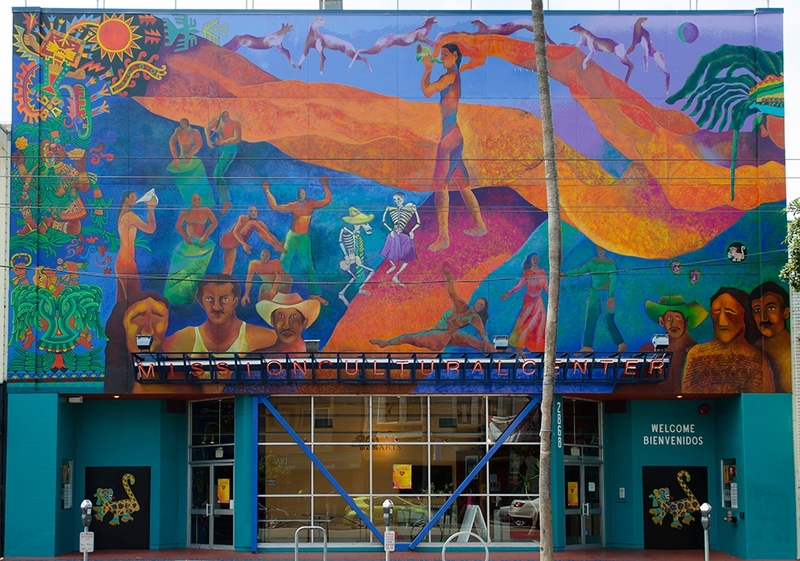 "Mission Cultural Center for Latino Arts makes the arts accessible as an essential element to the community's development and well-being." 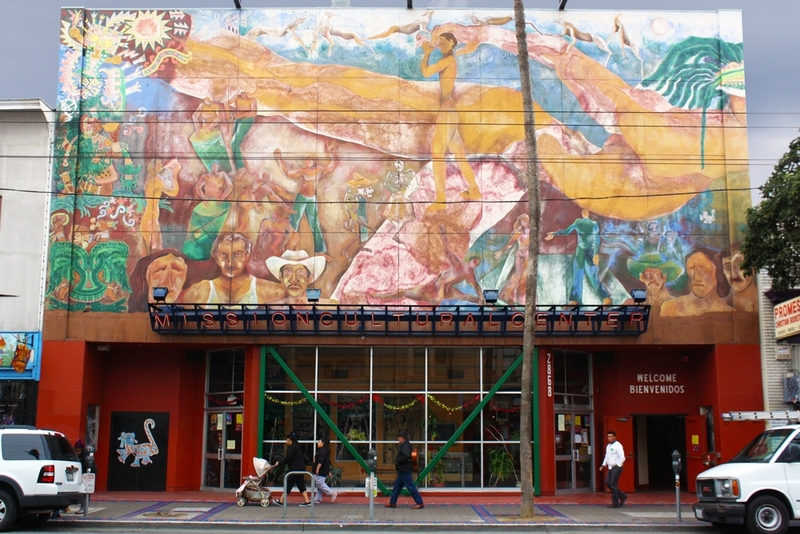 The Mission Cultural Center for Latino Arts was established in 1977 by artists and community activists with a shared vision to promote, preserve and develop the cultural arts that reflect the living tradition and experiences of the Chicano, Central and South American, and Caribbean people, and to make arts accessible as an essential element to community development and well-being. MCCLA is a multicultural, multidisciplinary arts organization committed to the collaborative artistic vision of the Latino art forms. MCCLA provides the community with an arena in which to develop new artistic skills, as well as support local and established artists that serve their community. MCCLA collaborates with other arts, social and humanitarian groups to provide the widest range of programming possible. 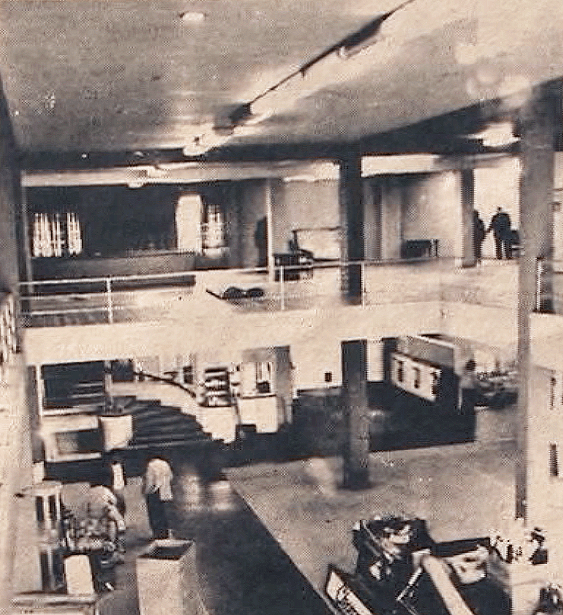 The MCCLA opened its doors to the public in 1977 along with the names of the founding fathers and mothers of MCCLA. Originally the building was inadequate to serve as a center but thanks to the small staff and to the dedicated group of volunteers who spend laborious hours have now attained international recognition by winning two world graphic arts biennials: Germany and Cuba and developing an art space, Galeria, Museo. Most of these improvements were completed by the first year. Due to a lack of Funding MCCLA had minimal structural since 1977 a renovation master plan has been thought and discussed since the mid-1980s. Despite the lack of funds the quality of the program that MCCLA offers continues to demonstrate a high level of professionalism. MCCLA’S main objectives to present the best representative sample of contemporary and ancient artistic traditions of Latin America and to develop in the community a high degree of sensitivity and understanding of Latin American culture. 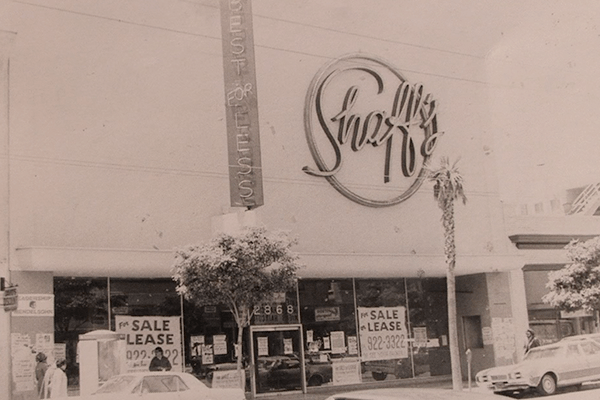 To this end, throughout its 38- year history the MCCLA has sponsored a series of local, national, and international activities and programs that helped establish it as the largest Latino cultural center in the continental United States. Many of the original projects and programs have been replicated in other parts of the United States. The history of MCCLA is directly linked to a concept that embodies the pre-Cortezan belief that culture is not something that is static but rather linked to an ever-changing future that is reflected by contemporary actions and activities. This has been the path that MCCLA has followed for the last 25 years. The History of the MCCLA by Juan Pablo Gutierrez, with archival research and technical assistance from Luis Alberto De La Garza. and other private and individual contributors.